Mixology is the study and preparation of cocktails and mixed drinks. A mixologist is someone who studies and practises the skills for preparing and mixing drinks. The difference between mixology and bartending is small and somewhat of a personal opinion. A general consensus is that mixology is accompanied by the passion to make and create new, great tasting drinks with quality ingredients. It requires a particular attention to detail and knowledge of your ingredients – spirits, liqueurs, cordials, syrups, herbs, fruits and juices, etc… Even knowing about your glassware is important, as certain shapes and styles not only look good for presentation, but can also enhance the flavour. If you’re looking to increase your skills as a bartender and gain the knowledge of a mixologist, you’re going to need to know the history behind many of the spirits and liqueurs. In addition to that, you’ll need to have a good understanding of their flavours and which alcohols complement each other. 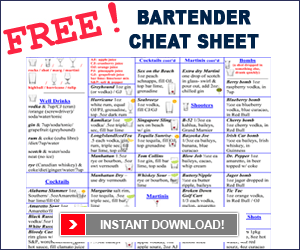 Take yourself through Bartending School by reading all the information on our Bars and Bartending site about popular drink recipes, glassware, terms and tools. Watch the training video tutorials and practise your skills at measuring, pouring and garnishing as well as all the other bartending tips offered. Find a bar or create your own at home where you can have fun experimenting with new drink combinations. Write down the ingredients you use in each drink, a small note about how you made it (i.e. shaken, stirred, blended), and how it tasted in the end. It would also be wise to have some friends over to test your mixtures. These things can be accumulated over time as it would be very costly to purchase them all at once, and some are more important than others. The bolded items are the necessary ones. If you and a friend want to learn together, then the cost can be split between the two of you and you’ll have more fun mixing, learning and taste-testing together. We would suggest starting with a couple different liquors and liqueurs and buying some new stuff every one or two weeks. 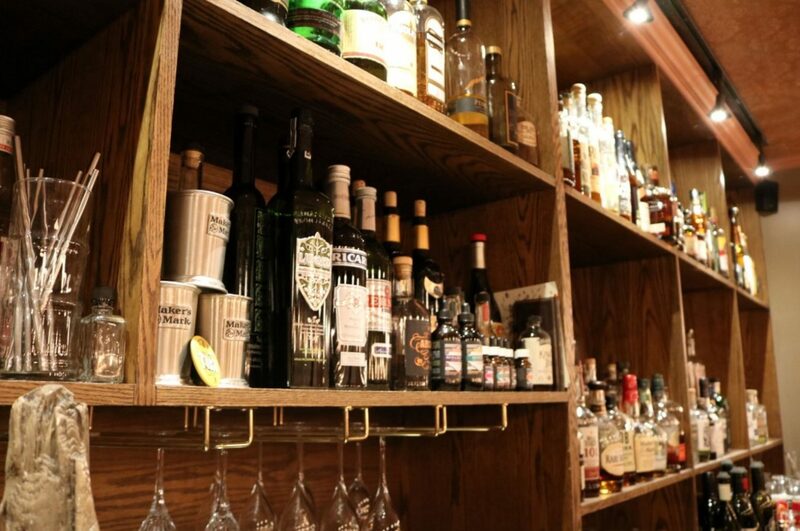 Muddling – Some higher-end bars have a muddling station. Muddling is when you fill the bottom of the glass with some various ingredients and muddle them together by gently crushing the items to release their flavour. The muddler is a long wooden stick (or steel) that mashes and mixes the ingredients together and releases their juices and oils. This is to enhance and release more subtle flavours in your cocktails. Once muddled, the alcohol and other juices or mixes are added. A popular drink that requires muddling of mint is a Mojito. Click here for the Mojito Recipe page. Other ingredients bartenders muddler together are; cucumbers, strawberries, citrus fruits, and grapes. Splash – Some drinks are mixed and then a splash of syrup or Rum is added at the end to float on top of the drink. We hope this helps on your journey through the world of Mixology and onwards towards becoming a master Mixologist.